Synonymous with quality, Sentosa Golf Club in Singapore approaches every initiative with the highest goals. When the decision was made to renovate the Tanjong course, the same expectations applied. 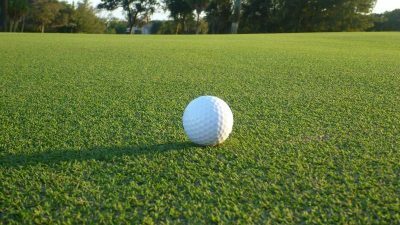 Before selecting the new turfgrass for the fairways, Sentosa General Manager and Director of Agronomy Andy Johnston researched the options extensively, and his efforts led him to Zorro® Zoysia. Johnston, whose career in the golf industry spans course maintenance, construction, design, and club management, did not rely solely on his own experience when embarking on the Tanjong renovation. John Holmes, president of Atlas Turf International, served as the turfgrass consultant. With Johnston already leaning toward a zoysia selection, Holmes arranged a visit to Southeastern United States where the USGA was conducting zoysia trials at the Atlanta Athletic Club. There Johnston was able to compare some 20 zoysia varieties side-by-side. While seeing the comparisons in person solidified Johnston’s selection, data and statistics were also important. Zorro has ranked as the number one turfgrass in the last two completed zoysia trials conducted by the National Turfgrass Evaluation Program (NTEP). In addition to its overall top rankings, Zorro earned leading performance ratings in leaf texture, density, and insect resistance. The list of other characteristics that stand out to Johnston includes drought tolerance, resistance to pests, and salt tolerance. At a course known for its sustainability initiatives, Zorro’s ability to thrive with less water and fewer inputs supports their overarching goals. Another important consideration to Johnston is the level of championship play Tanjong experiences. Since the renovation, The New Tanjong has hosted the March 2017 HSBC Women’s Champions with Inbee Park claiming the title, the 2018 Inaugural Women’s Amateur Asia-Pacific Championship (where the 15-year-old Thai winner Atthaya Thitikul earned an invitation to the 2019 Augusta National Women’s Amateur), and the 2018 HSBC Women’s World Championship won by Michelle Wie. 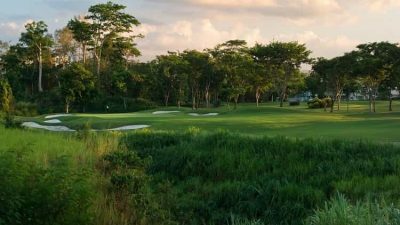 In addition to The New Tanjong, several other projects have recently selected Zorro Zoysia including Lido Lakes Golf and Country Club and Gunung Geulis Golf Club, both in Indonesia, Victoria Golf and Country Resort in Sri Lanka, and the Abaco Club driving range in the Bahamas. Atlas Turf International is the global source for the highest quality turfgrass. As with The New Tanjong, our primary goal is to assist in selecting the turfgrass species and variety best suited to the unique conditions of each project. For more information, visit atlasturf.com.